Running in Cologne, Germany. 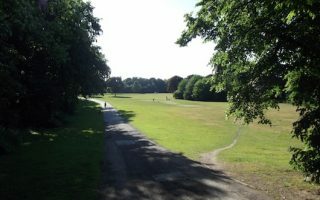 Best places to run in Cologne. 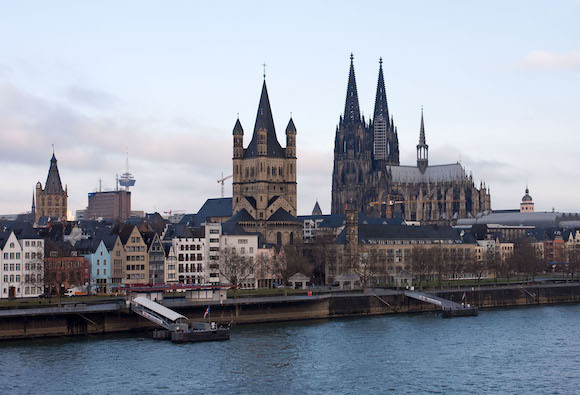 Located in the German federal State of North Rhine-Westphalia, Cologne is the fourth populated city in Germany. 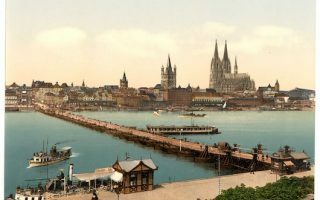 The Rhine River defines the city, with Historic Cologne located on the west side. Much of the city was destroyed in WWII, so the city’s architecture is mainly modern. The impressive Cologne cathedral famously preserved. 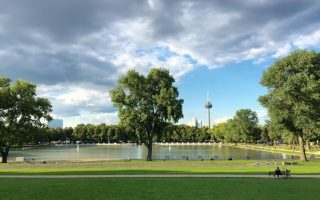 Our guide to running in Cologne features wonderful routes along the Rhine and several greenbelts. 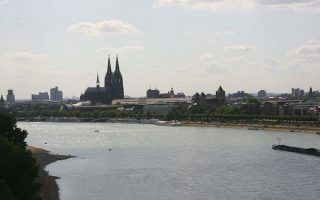 The signature run in Cologne is along the paths of the Rhine, which extend for several km north and south from the center, on both sides and linked by numerous bridges. The Inner and Outer Green Belts are another highlight, with wonderful paths through linear parks. Our 8 km ‘runseeing’ tour features history and scenery all in one run! Cologne is a fairly compact city. Transit is excellent, consisting of light rail and buses. An 8 km 'Runseeing' tour of Cologne. 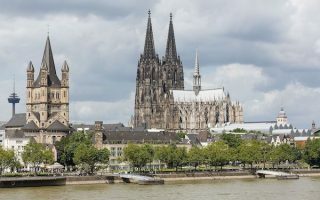 Highlights include the Historic city, a jaunt along the refurbished Old Harbor along the Rhine, the old city walls in Friedenspark, the paths of Volksgarten, and a final jaunt through Old Town along Quatermarkt. A "highlights of Cologne" run. 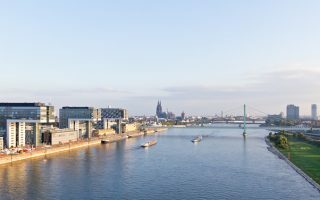 Over 13k, enjoy the linear park of the Inner Green-Belt (Innerer Grüngürtel), a section along the Rhine, and then some of the major sights of Historic Cologne. A classic European river run. Wonderful paths right along the Rhine, with numerous bridges allowing for loops. This route heads north from historic Cologne, for a loop of up to 10k. Western side has more sites, eastern side is more park-like. A classic European river run, this one heads south. The highlight on the west side is the Rheinauhafen waterfront promenade. The eastern side features parks and fields. The full loop to the Rodenkirchener Bridge is 11.5 km. Linear park formed from the Inner Green-Belt (Innerer Grüngürtel) created in the 1920s. Wonderful run through park paths, makes for a great 5-mile car-free out and back. Options to add-on or do a grander loop. A run in the Outer Greenbelt Park (Äußeren Grüngürtel), which is just west of the Rhine in the Raderthal section of Cologne. Paths are a combination of wooded, open, and pond at the western end. A 6.3 mile route covers most of the park. 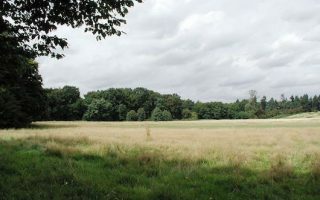 An open, heath-like area located about 6 km west of Cologne and easily accessible by transit. Criss-crossing gravel paths that are great for running. One can put together about 3 km on the paths. Cologne is one of the warmer, but cloudier cities in Germany. Summers are warm but not hot, with average high temperatures in of 24C (75F), with a chill at night (13C, 55F). Winters are cool and damp, with average January highs of 5C (42F) and lows just below freezing. Significant snowfall is rare — but dress accordingly and be prepared for slick surfaces in winter. The 828mm (33 inches) of annual precipitation is evenly spread through the year. There’s a good selection of hotels in the city center. Try to stay within a couple of km of the Rhine, which features the Cologne’s best running. An alternative choice is near the Inner Greenbelt. On the east side of the Rhine, there are stadiums, convention center, general hospital and so on. Lots of hotels here too. Try to stay inside of the main Deutz-Mülheimer Str., for good access to Rhine paths, south of the 55a (Zoo Bridge) and north of the 55.